Sunday, September, 16 was the biggest day yet of the partypoker POWERFEST series as 13 champions were crowned including Ben Tollerene who took down the $5,200 No Limit Hold’em Championship Event. Tollerene took first place for $310,400 after he bested a 312 player field and a final table that featured some notable names. partypoker ambassador and recent MILLIONS Russia Main Event winner Anatoly ‘NL_Profit’ Filatov just missed out on a podium finish after he departed in fourth place for a six-figure score worth $114,660. The final three featured Tollerene, Jon Van Fleet and PocketFives #1-ranked ‘Drulitooo‘ with all three having steller records in POWERFEST events it would go right down to the wire. ‘Drulitooo‘ fell in third place for the bronze medal and $157,560, which left last year’s MILLIONS Online winner Van Fleet up against Tollerene, who won the $25,000 POWERFEST Super High Roller for $846,722 this time last year also. It was a heads-up battle for over $85,000, and it was to be Tollerene who got the better of Van Fleet to take the title, with Van Fleet banking $224,640 as runner-up. The Event #97 High Roller: $1,050 PKO Championship Event title went to ‘nolet20‘ after they saw off 1,198 other players to win over $190,000. Russia’s ‘josef_shvejk‘ was looking to add a third POWERFEST title to his name but had to settle for the bronze medal and $48,019 + $16,938. ‘nolet20’ was then able to eliminate ‘whresmymind‘ in second place for $73,139 + $15,677, and the former banked the $102,214 first-place prize as well as a staggering $88,328 in bounty prizes. 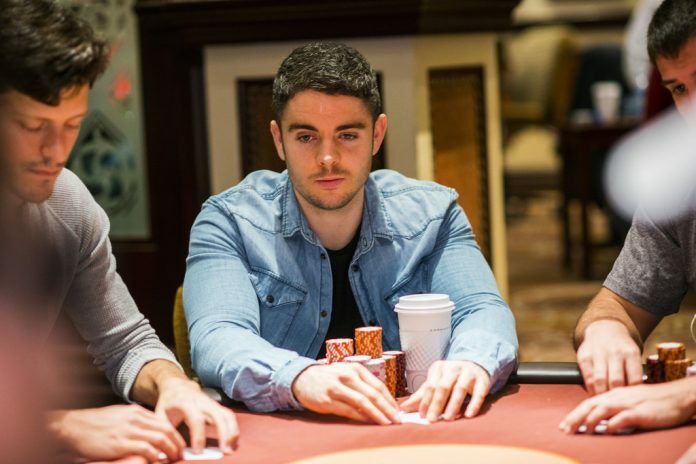 Canada’s ‘Mike_420‘ won $100,509 after victory in Event #96 High Roller: $530 NLHE. The 1,179 player field created a prize pool worth $589,500, and when the action got down to the final three it was to be Jonas ‘Palsgaard93’ Palsgård who was first to fall, and the Dane banked $47,218 for his deep run. ‘Jo1ntheparty‘ was the player up against ‘Mike_420’ in the final battle, but the former was unable to go the distance and departed with the silver medal worth $71,919, as ‘Mike_420’ picked up the title and the six-figure score. ‘spinner2255‘ added over $100,000 to their bankroll after they got the better of ‘megustaestrecha‘ in Event #94 High Roller: $1,050 NLHE Deep PKO. Patrick ‘dotcotton1939’ Brooks claimed third place from the 664 player field and banked $29,083 + $8,125 (in bounties) before ‘megustaestrecha’ fell at the final hurdle and collected $43,093 + $24,647 in second place as ‘spinner2255’ picked up the title alongside $60,523 + $40,093.